Published: May 1, 2013 at 03:00 a.m. Updated: July 10, 2013 at 12:03 p.m. It's summer time at the NFL. During the next few weeks, we here at NFL.com will unveil our Most Underrated and Overrated Players of All Time for all 32 teams and allow users to determine their choices as well. Over the last decade, Hasselbeck has managed to claw his way onto almost every statistical list that matters for a quarterback. Hasselbeck is 16th in completions, 21st in passing yards and 32nd in passing touchdowns. In passing yards, Hasselbeck is ahead of Troy Aikman, Kurt Warner, Steve Young and Phil Simms. By no means am I saying that Hasselbeck is better than these elite quarterbacks, it's just worth noting that he is ranked ahead of some pretty respected gunslingers. Hasselbeck failed miserably the eye test due to his cautious, boring and even vanilla style of play. Yet despite his lack of ability as an entertainer, he did what was needed and led the Seahawks to their lone Super Bowl appearance. For his role as the quarterback of the greatest Seahawks team of all time, he deserves far more credit than he is given. Hutchinson and Walter Jones were arguably the greatest blocking duo of all time, as they helped make Shaun Alexander look like a football god. I can see you recoiling in your chair, appalled by the notion that Alexander's infamous 2005 record-setting season was little more than unbelievable blocking. Again, Alexander's numbers dropped by 27.9 yards per game when "Hutch" departed. To put the impressive career of Hutchinson into perspective, the man blocked for a 1,000-yard rusher in 11 of his 12 seasons in the league, and the only running back that didn't hit the 1,000 yard mark was Adrian Peterson, who rushed for 970 yards in 2011 (when he suffered a high-ankle sprain for three weeks, and later tore his ACL). If the great people of Seattle chose to retire Walter Jones' jersey, they had better make sure to retire the Hutchinson jersey long before they choose to hang the No. 37 in the stands at CenturyLink Field. 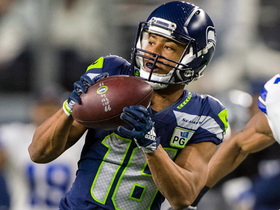 During his brief Seahawks career, Galloway amassed the third most touchdown receptions in team history (trailing only Steve Largent and Darrell Jackson). 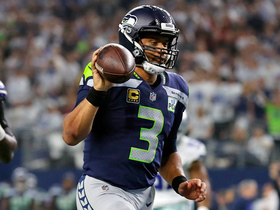 Galloway's best year as a Seahawk occurred during a time in which the Seahawks boasted one of the most explosive passing offenses in the league. Yet due to a poor defense the Seahawks went 8-8 and Galloway's 1,049-yard, 12-touchdown 1998 season isn't as fondly remembered as it should be. While Galloway was with the Seahawks, he was the second-most consistent 1,000-yard reciever in team history, hitting the mark in three of his five seasons, again only trailing Hall of Famer Steve Largent. It should also be taken into consideration that Galloway is one of the few receivers in the last 20 years to succeed in the Pacific Northwest, which has all but become a graveyard where talented receivers go to watch their careers take a dive. T.J. Houshmanzadeh, Jerry Rice, Deion Branch and Braylon Edwards were all more or less put out to pasture when they came to play in Seattle. Chancellor is the only current Seahawk to be featured on this list. This offseason, the Seahawks chose to lock Chancellor (age 25) up until 2015, Chancellor is only heading into his fourth season in the league and is already one of the most devastating hitters in the game. Chancellor is the unspoken leader amongst the highly talented and ever-so-explosive secondary known as "The Legion of Boom." Chancellor's hectic and powerful style of play bring back memories of what Ronnie Lott and Rodney Harrison used to do to opponents. His larger-than-normal stature and freakish strength should leave receivers feeling uneasy when facing the thought of going over the middle. Understand that despite being "busts," Brian Bosworth and Aaron Curry will not be making an appearance on this list because they will forever be known for what they never became. Never has a player been more revered and well-received for simply being athletic and not actually possessing any true skill for the position that he plays. After he was drafted in 1997, Springs was viewed as the keystone piece of a Seahawks defense that was supposed to be as potent and explosive as the team's offense. The only problem is that the Seahawks defense faltered, ranking 22nd in points allowed in the league. Springs, who had a 40-inch vertical and clocked a 4.35-second 40-yard dash at the NFL Scouting Combine, was an early example that there is more to being an elite player than raw speed and athleticism. 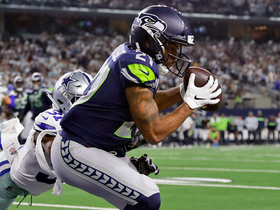 The highly touted rookie managed one interception all season as the Seahawks fell to an 8-8 record and missed the playoffs. When the Seahawks selected Stevens with the 28th overall selection in the 2002 NFL Draft, Seattle fans salivated at his potential. Yet, many of the scouts who saw Stevens' potential also warned about the laundry list of off-the-field issues that seemed to paint a picture of recklessness and immaturity. 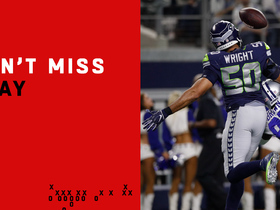 In five seasons with the Seahawks, Stevens amassed what can only be described as underwhelming and highly mediocre numbers. Prior to Super Bowl XL, Stevens even got into a trash-talking battle with the Pittsburgh Steelers' Joey Porter. Stevens followed up his bold words by dropping four passes, and catching three for a meager 25 yards. Seattleites seem to remember Stevens fondly, when in reality Stevens should be recognized as the law-breaking, pass-dropping oaf that he was... or as Mr. Hope Solo. Zorn is arguably one of the most beloved Seahawks of all time, but for no real particular reason. Seahawks fans (my father included) choose to overlook just how atrocious Zorn was under the helm and revere him regardless. Zorn might have been forced to lead a Seahawks team from the get-go as an expansion team, but in his career as the Seahawks' starter he managed to go 40-60 and threw 30 more interceptions than touchdowns. The Seahawks' roster wasn't a wasteland those years either, as Zorn was either handing the ball off to Sherman Smith or passing it to Steve Largent. It baffles me why a franchise would choose to cherish a man who accomplished so little over the span of nine years. Perhaps it is simply because people don't tend to forget their first. Despite breaking the NFL single-season record for touchdowns and holding the franchise record for most yards (by about 3,000), Alexander is severely overrated. He was lucky enough to have arguably the greatest blocking duo in NFL history on the left side of his offensive line in Steve Hutchinson and Walter Jones. The year that Hutchinson departed for Minnesota, Alexander's yards per game dropped by 27.9. Mind you that his average number of attempts per game went up by two, so it wasn't as though the Seahawks chose to run the ball less after Hutchinson's departure. Instead, it was the fact that Alexander was unable to run as well with only one Hall of Famer blocking for him. I implore you to go back and use the eye test on Alexander, the majority of his touchdowns came from him striding through gaping holes in the defensive line. Without gaping holes to run through, Alexander's subpar speed and average power weren't enough for him to produce at the same elite level he did with Hutchinson and Jones paving the way for him. At the beginning of his career, Tatupu looked like an All-Pro linebacker that NFL team mistakenly passed over in the draft due to his small size for a middle linebacker. After three consecutive Pro Bowl selections and one All-Pro nod, the Seahawks elected to lock the linebacker down to a six-year $42 million deal in 2008. Tatupu followed up the big contract extension by leading a Seattle defense that ranked 30th in yards and 25th in points allowed in 2008. Tatupu would miss the Pro Bowl that season and was cut in 2011 following two injury-plagued campaigns. Though he had a solid few years with the franchise, too many Seahawks fans still own and wear No. 51 jerseys around town even though there are better past and present Seahawks linebacker jerseys worthy of being worn on Sundays. Follow Zach Schwartz on Twitter @zachiszach.